Lean ground chicken + southwestern spice = one yummy burger. BONUS: These are so low in sodium you can splurge and sandwich them between regular buns. Woohoo! Place ground chicken into a mixing bowl. Measure the spices into the bowl and mix into the ground chicken thoroughly using your (freshly-washed) hands. Divide mixture into four equal portions. Roll each portion into a ball, then flatten to form patties. To keep patties flat while cooking (without having to squish the patties on the grill, thereby extracting all of their juiciness in the process), make a small indentation in the center of each patty using the back of a spoon (do this on both sides). Once grill is ready, place patties on surface. Grill 5-6 minutes on the first side, then gently flip patties and grill another 5-6 minutes on the second side. 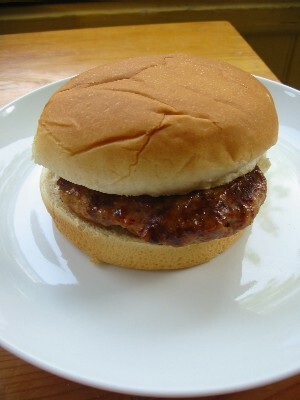 Remove from grill, place on buns if desired, and serve immediately.